Benefit from 10% off on your stay at Alpina Eclectic Hotel or Hotel Le Prieuré , partners of the festival. Alpina Eclectic Hotel Chamonix, a mythical resort, the historic heart of mountaineering, a meeting place for all mountain enthusiasts and lovers of the great outdoors! An exceptional backdrop whose spirit and atmosphere echo this universe. 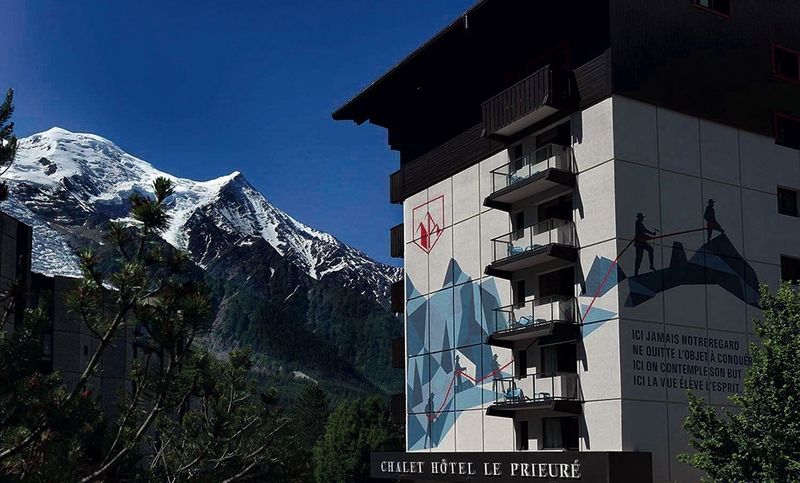 The Chalet Hotel Le Prieuré is a 3-star hotel renovated in 2015, located near the center of Chamonix. It offers contemporary rooms at affordable rates. Get 10% off any booking by entering the promo code "COSMOJAZZ18" when you make your reservation! 28/07/2017 Soutenez le CosmoJazz Festival !